Super Sweaty Six Months Sober is the name of my new hit children’s song, don’t steal it. My official 6 months was June 29th, I sweated out hot tea and sparkling water not booze and it felt amazing. The last 6 months… I have sat down to write this blog a million times in the last couple of weeks and I keep getting stuck. The last 6 months have been equally hard and perfect at the same time and I am not sure how to put that into words. Not perfect as in perfection but perfect as in I know I am exactly where I am supposed to be…a very messy perfection. Time has been incredibly slow and flown by. I feel like my first 30 days was five years ago but I also can’t believe it has been half a year. I know myself better today than I have in the last ten years, the good and the bad. Life has become less about what I feel like doing or what I think I have time for, and more about what is going to serve my life and my goals in the best way. Looking at the future, what will I wish I was saying yes and no to right now? There is no time for complacency or settling. AND I have goals again! Listen, if you have read a self-help book in the last fifty years you have heard this a million times, but our time is limited. Not a new concept, but it has a new meaning for me in terms of recovery and the life I want. I feel jealous of the people I have met that are in their 20’s that have discovered their freedom already and I have to remind myself, I wasn’t ready then. This timing is mine for a reason. I have talked about it before, but if you feel a tug towards a different path, do it now (or don’t do it, don’t let me boss you around). I have to fight with myself when I get frustrated and start asking, Why didn’t I listen sooner? Why didn’t I love myself enough then? Why did I think I didn’t deserve more? I could have had this freedom at any time, all I had to do was choose. 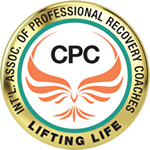 I am chasing a new goal right now, my CPRC (Certified Professional Recovery Coach) Dual Certification to become a Recovery/Life Coach with a She Recovers certification/designation! I have been trying to talk myself out of it for a month because honestly, I am scared. What if I spend the time and money and no one hires me or it doesn’t lead to new opportunities? What if no one else thinks I can do this or be good at this? 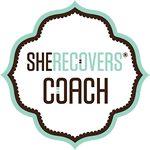 and the big one… What if I fail in my own recovery? And really, What if I just fail? I was going to say the classic, “I don’t have the answers to any of those questions and that’s okay blah blah”, but that’s totally not true! I do have the answers, and the answers are… if I fail then I fail. If people think I am wasting my time, then they think I am wasting my time. That’s all that happens. My reaction to what happens is where I have the control. I listened to myself six months ago and I was scared. I put all this on the interwebs and I wasn’t scared enough. I was honest with my husband and my mom and my sister and my kids and I was terrified. And every step has been 100% worth it. There are much harder things in life than trying and failing. That’s all. It’s so simple that it’s hard, all you have to do is choose your next step. And then choose it again. And then again. You can do it. Me too. Babe, you’ll crush this like you do with everything else you put your mind to. I don’t know how to make a heart emoji from a keyboard but that’s my vibe right now. Huge congrats on 6 months! And best of luck with your training. You can do it. I was just reading your blog! Thank you! Well done on six months, and a great blog too! Thanks! 1/2 way to a year and I can’t believe it! That’s amazing!! Happy early 2 years! Thanks, I’ve no doubt I’ll get there, cause I’m in the driver’s seat. You are amazing. You will kill it. You already are. ❤️ Thanks for being you!! It takes courage…BIG kahunas to tell the truth…. Thank you Myers for all your kind words and your encouragement! I feel like Tony Robbins not be excited about the comparison but I’ll take the compliment 😉! I love your comment, “ My reaction to what happens is where I have control.” I love the need you have to support others in their life choices to improve. I love that you share your journey. I love that you know time is limited. I love the support your friends have for you. I love that Mike loves you so much that he wants you to be your best. You’ve got this, Cori, and we are in your corner. We love you. ❤️.